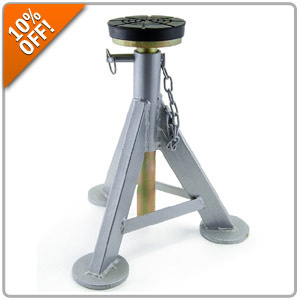 10% OFF All ESCO Jack Stands at Pelican Parts! We have been using ESCO Jack Stands on our in house projects for years with great success. The stands guarantee ease of mind with their overall engineering for strength and stability. The circular feet on the bottom of the stands give you added stability as well as coupled with the reinforced panels found between each leg. From now until November 1st take 10% OFF all ESCO products when you enter promo code ESCO10 at checkout.